The former MD of Simulayt Ltd. Dr. John Klintworth, commissioned Nigel O’Dea from Outsourcing B2B Marketing to write a technical press release case study article to promote the use of the Composites Modeler ply modelling and fibre simulation software, developed by Simulayt Ltd. The case study article was based on dissertation by an engineering undergraduate from Swansea Metropolitan University. 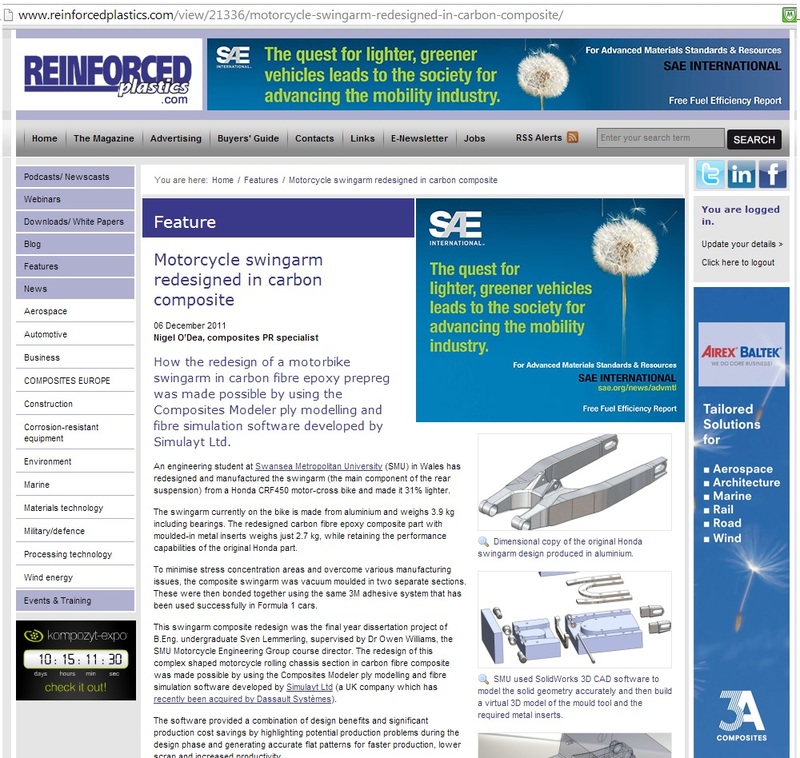 The motorcycle swing arm redesign article in carbon fibre epoxy prepreg using the Composites Modeler software developed by Simulayt Ltd. (now part of Dassault Systèmes) was published as a four page ‘Feature’ in the November / December 2011 issue of Reinforced Plastic magazine and on the RP.com website. Compositi – a bi-lingual Italian/English magazine – printed a 6 page feature article of the motorcycle swing arm redesign in the September 2012 issue. 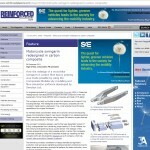 Links to magazine and website articles with kind permission of Reinforced Plastics and Compositi.